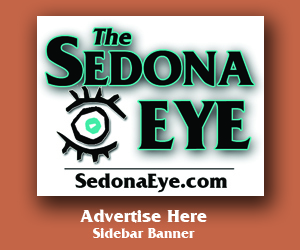 Sedona Eye » Eddie Maddock: Business as Usual? Home » Community » Eddie Maddock: Business as Usual? Sedona AZ – At a Special Sedona City Council Meeting, 3:00 Wednesday afternoon January 11, 2017, after three long years of a contentious destination marketing agreement with the Sedona Chamber of Commerce, the City will again revisit the issue. We can only hope the negotiations will prove to be less controversial, fairer and, in turn, result in acceptable transparency which will dismiss suspicion and mistrust of City Hall dealings. That might very well have been the case had the original commitment for Requests for Proposals (RFPs) as well as certified outside audits been upheld as proposed during the initial negotiations. Ignoring both valid concerns was a disservice to everyone. Option 1: Move forward with the negotiations of a new contract with the Chamber of Commerce. Option 2: Issue an RFP for tourism promotion services. Option 3: Create a stand-alone destination marketing organization (DMO) without ties to the Chamber of Commerce. Option 4: Create a City Department to handle tourism promotion. Option 5: Issue a Request for Qualifications (RFQ) for a travel industry consultancy to assess the current structure, funding relationships, etc. and provide recommendations to the city. Pros and cons of each option will be discussed at length, such as concerns RFPs will include bids from for-profit agencies. That brings up several questions. Without an official outside audit from a qualified source, how do they know the Chamber has not been making a profit? How many employees have they hired? What has been the cost of improvement to their own facilities, etc? And what is the source of funding for those operating expenses? And will the City acknowledge the Chamber currently offers their own RFPs for specific services, realistically reducing them to a mere middle-agency, acting on behalf of the City of Sedona? And how do they justify the extended branding of the Sedona Chamber of Commerce that has occurred within the past three years? What has been the source of that promotional funding for the Chamber instead of the City? By creating a stand-alone destination marketing organization, the City could avoid real or perceived conflicts between tourism promotion services and the various other functions of the Chamber of Commerce. Although they specify: Unclear how local and regional partners would react, why should that concern the City? Should their focus at long last be redirected to the residents of incorporated Sedona? They are the people who created the City in the first place, clearly, and with knowledge, it attracted tourists. Sure, a stand-alone destination marketing organization would result in the re-creation of an already established and successful local agency. However the extent of success of the present local agency has never been undisputedly proven. The source of increased revenue after the great recession coupled with a reduction in gasoline prices has never factually been factored into the increased tourism and resulting upswing in revenue. Nor has it been determined to what extent advertising monies have merely resulted in excessive day-tripping, which the City’s infrastructure clearly cannot handle. As for the suggestion for Request for Qualifications (RFQ) for a travel industry consultancy to assess and monitor the current structure, would that be nothing more than a baby sitter for the contract with the Chamber of Commerce? Should the City have been serving that function for the past three years? It has frequently been said the City could not afford to operate their stand-alone department. And how would they know? With a Chamber of Commerce now providing funding for USFS trail maintenance, contributing money back to the City for their traffic study, and other generous, but questionably frivolous expenditures, most recently to propose purchasing property on behalf of the City with what appears to be leftover funds from the bed tax rebate, how can they make that determination without a precise and reliable audit from an authentic source? They cannot. Is there any reasonable explanation why the City should not take responsibility for allocating the bed tax revenue - all of it – including over and above destination marketing? And the perfect opportunity to establish a genuine Sedona Visitors Center has been ignored by not including such a service at the Western Gateway. How long will this City tolerate discrimination of their own legitimate licensed, tax collecting businesses within City Limits unless they are forced to be members of what clearly is a regional Chamber of Commerce? And the practice of paid referrals is common, but should the City be involved by financing the activity with public funds, and further discriminating against in-city businesses? 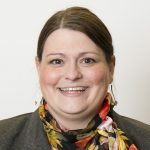 With the recent hiring of a professional, Molly Spangler, to serve as Economic Development Director, there is really no need to burden our busy Chamber of Commerce with more additional duties besides servicing their members, which is the purpose of their non-profit organization. And, since when was The Sedona Chamber of Commerce & Tourism Bureau deemed the Destination Marketing & Management Organization in Sedona for 65 years? Up until just a few years ago was it not the Oak Creek Canyon Sedona Chamber of Commerce, then changed to Sedona Chamber of Commerce, and most recently ”& Tourism Bureau” was tacked on? This elaborate extension of creating yet another illusion that simply does not exist is pretty much over the top. Wouldn’t you agree? Dumb question. There is already a campaign in motion to Make America Great Again. How about a local endeavor to Make Sedona Respectable Again? Meet and greet our visitors with an authentic Sedona Visitors Center and related advertising. Don’t we deserve it like other places? Flagstaff (AZ) and Park City (UT) are, but two, examples that offer proof they survive very well without financial support to their respective Chambers of Commerce. He knows not what he speaks about….. Ask the homeowners of his tiny HOA… they will tell you ..
Wow improvements at sunset and posse grounds parks..
@West Sedona Dave-Christ Graham. If you think you can get the fed up voters to vote in a property tax- Have at it. Christ Graham savior- Jesus sat on the board of main street received 100,000 dollars annually from the tax payers for years, works for the red rocksnooze Kyle Larson receiving millions sitting on the board of the chamber of horrors. Zero credibility. Imo Pond Scum. Isn’t there a conflict of interest here? Doesn’t the RRN get mucho money from the city in ads? How about the Chamber man? Don’t you get money for all those exclusive promos? didn’t you get money for your poetry slam dude? You sit on the board for mainstreet. Your boss Larson sits on the chamber board. Man dude I thinks there a conflict here man, $$$ for YOU and YOURS if we vote yes.Don’t you get paid enough? 1. “Bed taxes shall be used exclusively by the city or town for the promotion of tourism.” Not always. Only the one-half percent bed tax increase effective Jan. 1, 2014, applies to Sedona. City Council passed this increase AFTER state statute ARS-500.06 became law. Not the case with the long existing 3 percent bed tax. 2. “The underlying cause of our traffic problems is multi-faceted.” Omitted and not acknowledged is that the City’s Transportation Study found that most traffic was caused by vehicles passing through Sedona. 3. “Much of the traffic problems are our fault.” Isn’t this discriminatory? Sedona didn’t have very much in the way of traffic problems in 2009 and 2010 when the population 1,000 above today’s. What’s more, it is not supported by the findings of the Transportation Study. What do you care JJ? You live by Red rock crossing…Not even in Sedona City limits..
Go find somethingvwrong(I’m sure you will) with your area.. Kudos to F.Y.I. for exceptionally astute observations. In summation, both City and Chamber are masters of spinning. Another kudos or two rightfully might go to Segner for having brought C F Graham and his affiliation with the RRNews out of the shadows. If Graham is worthy of the accolades bestowed upon him from Mr. Segner may we expect him to offer a humble comment (or two) of gratitude to SedonaEye for their fair and balanced policies which, after all, is the vehicle for his newfound notoriety? Stop the Scam vote NO on home rule. Go back and remember the city ISN’T required to give that 55% to Chamber. City Council WANTS to! Vote out ALL incumbents. Stop the bleeding.If you vote them in they will destroy Sedona. Sales tax is equal to bed tax NOW which takes aways ant rules for reinvesting in that 1/2% increase scam. City Council gave away YOUR Sedona. Hotel charge sales tax and bed tax when you break out the numbers 70% + comes 57% sales tax the remainder is the bed tax. from visitors hope that helps . you should be happy that visitors pay for our goverment….. we are very lucky. •	Arizona voters in 1980 wanted to limit spending by their local municipalities, so they approved a constitutional amendment, which capped spending limits at the budget they set for the 1979-80 fiscal year. They allowed for small increases, based on population and inflation, but if towns wanted to spend more than that, then they’d have to go to voters and get it approved. •	Since then, they have. Only twice did the voters reject home rule, that being Sedona & Florence and voters quickly realized it was a mistake. They passed some exemptions so the town could continue to do some business until voters would again get a chance to vote for home rule in 2016, which they did. •	Why do 79 other cities in Arizona vote for home rule? And not take the state allowance? If the amount is so well thought out? •	This formula-based spending limit does not take into consideration the services and programs provided to citizens by each city or town, such as public safety, water and roadway infrastructure. •	As an alternative to this formula-based limit, the State Constitution allows voters of a municipality to approve a Local Alternative Expenditure Limitation, otherwise known as the “Home Rule” Option. •	The Local Alternative Expenditure Limitation, or “Home Rule” Option allows a city or town to adopt its own budget limits locally based on local needs, service levels and available resources. 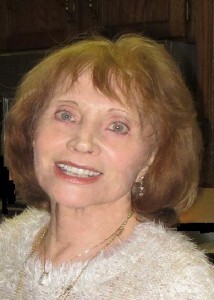 •	The state mandated money does not take into account the visitor traffic and need of Sedona. •	Of you think this is a way to stop visitors it will not work the visitors will keep coming and the city will have no resources to respond. •	Sedona spending is in line with its income. Sedona has saves money for many years and now is using the saving for projects. Hey you guys and gals (more politically correct is Hey you people) Brace yourselves. If by some miracle Home Rule is snatched from the big planners (city hall folks and their elite non-transparent citizen engagement groups) here’s one thing you can count on! The most essential needs such as roads and transportation will be what’s cut as punishment to voters that didn’t obey their recommendations. Funding for each and every event, city and non city, and the regional chamber of commerce will remain top priority. In other words, what is there to lose? Actually nothing will change except for four short years a few wings will be clipped and force these people to adjust slightly to downsizing the grand style of living to which they’ve become accustomed. Let’s go for it! NO on HOME RULE!! It’s definitely time to cut the pork. And if our elected council members refuse, then vote them OUT! Stop, look, listen and pay attention to new people (if there are any) brave enough to step in and face the challenge. First thing – CANCEL THE CONTRACT with the regional chamber of commerce, and STOP funding THEIR visitors center. It should be forced to stand alone, supported by chamber members, as it did for years and as they do in most other incorporated areas who rarely offer any financial support to their C of C’s. In the event any marketing is deemed essential (doubtful) it should be done via State Bureau of Tourism. Period. A NO vote on Home Rule is the ONLY voice they should be listening to.. DO IT OR SHUT UP AND STOP COMPLAINING ABOUT TRAFFIC AND OTHER UNDESIRABLE MESSES CREATED BY THE GREAT SEDONA GIVE-AWAY TO THE LOUSY C OF C.
Steve Segner’s 70%+ of sales and bed taxes with 57% coming from sales taxes is BS. According to the City of Sedona, the correct figure for FY 2017 is 57% of revenues, with two-thirds generated by sales taxes. Two-thirds of City revenues works out to 38% coming from sales taxes. This leaves 19% of City revenues from bed taxes. And that’s not all. Residents pay a significant percentage of sales taxes, i.e., on bills for patios, fences, retaining walls, building supplies, hardware, paint, restaurant meals, etc. Vote NO on Home Rule. Vote NO for all incumbents. Get a life please and stop spreading misinformation..
“Taxes on bills for patios, retaining walls, fences , paint , etc etc. If you have a fence installed, or get a patio built, or replace a retaining wall, you won’t be laughing at the City’s sales tax charge of a few hundred dollars or more should you request an itemized bill. You won’t be laughing @Get Real when you have a patio built, replace your retaining wall, or get your yard fenced in. Itemized bills list the City sales tax.. Increased spending for the fire district was recently voted down. Similar results have happened with proposed school district bonds. 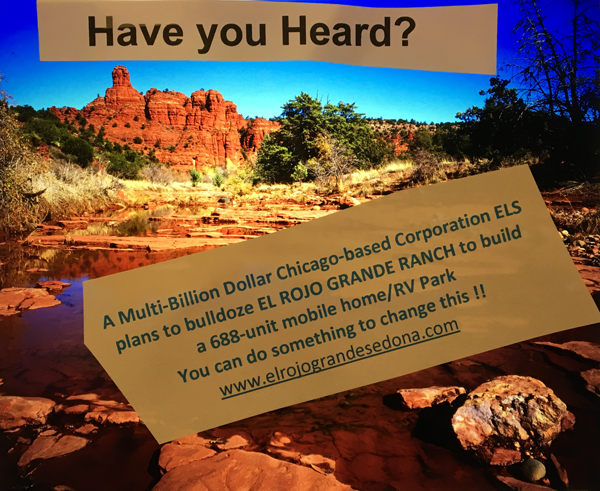 Why is it Sedona residents bend to threats and intimidation presumably orchestrated by a greedy regional chamber of commerce in cahoots with certain council and staff members and continue to allow unlimited spending????. Now you are given an opportunity to at least try and change the direction Sedona is headed. Get some gumption people.Vote NO on HOME RULE and let THEM know WE matter!!! Sorry but it’s impossible to resist coming back to Business As Usual since it expands far beyond Sedona City Limits. Recently it was announced the Sedona Fire Board hired a Phoenix fellow to allegedly “educate” “district” residents, Yavapai/Coconino County property owners, the source of funding via property taxes for the Sedona Fire District. Well, “desperation” might be a better term for such a slap in the face to voters who recently denied an overinflated fire district bond. Or are they really so naive to believe a professional will be able to “brainwash” the Fire District residents? Disaster has been the result of that ill fated decision back in 2013, never having proven one thing except a substantial increase in Sedona Day Trippers. And no, vacation rental soreheads, that was long before Gov. Ducey made them legal. Or maybe the goal of the Fire Board is less ambitious, that being to just finance this Phoenix fellow similar to how the city paid Red Earth Theatre to use city owned property? Actually we voters are getting a better deal from the Fire District since they will only be spending around $30,000 instead of the estimated $40,000 to $50,000 for previous Red Earth contract -(included utilities and other additional expenses). Such a deal(s) !! Take your pick. As others have commented here and elsewhere on SedonaEye there are no surprises at city council meetings. Of course the C of C contract flew through approval at last night’s meeting as did other Sedona giveaways. Why would anyone opposing the current method of decision making bother to attend those meetings? Gone are the days of transparency. Big mistake to have replaced open-meeting commissions with “citizen engagement” groups. Secrets, secrets, secrets but not so secret when outcomes are soooo predictable! Time for change? Do NOT vote for incumbents. Do NOT vote yes on Home Rule. You can bet the Chamber Gang etal will have heavy duty financing to spend on promoting the incumbents and/or like minded replacements. They are the same folks that benefit from the free-flowing city funding for non-profits and add to publication production support of the RRNews. Nothing short of a miracle will change things. Face it too many people are away this time of year and won’t vote. Another gift for the takers. Face it and prepare for Home Rule to also sail through. Sedona residents, either wake up or quit complaining. You pretty much nailed it. The chamber gang is relying on apathy from those that gripe but don’t cast a vote. Hey, people, haven’t you ever heard about early voting? And mail ballots are the going thing. No excuses. Don’t vote? You are the problem and NOT the solution to our ever increasing sub-standard life style. Wise up! There is another way of looking at it, only the folks on SedonaEye are against everything Sedona and normal people just don’t agree with you. As long as the city lets the Chamber run city hall they can’t be trusted. So are you implying elections turn out the way they do because the folks on SedonaEye who are allegedly “against everything Sedona and normal people” don’t get out and vote? @Sorry Jerry, Legitimate Sedona Voter. Well, you could very well be correct. Since Sedona elections have such a low turnout, clearly it’s the “movers and shakers winning” the victories. Double shame on the SedonaEye people (and others) who fail to vote. You reap what you sow. This comment is a first from me although reading SedonaEye is very informative and interesting. So because of residents unrest and growing discontent with Sedona’s present direction, I will just throw in my two cents worth here. Basically Back to “Business as Usual” to conform with the title of the above article. It’s already started with an editorial 7/18 in a local paper from the editor implying campaign signs (rarely seen about town since apparently they are being removed almost as quickly as they are erected) but specifically the one recommending to vote NO on Home Rule is “fraudulent.” That seems like a bold statement. Simply because the editor of the RRN disagrees with the message on the signs which read “Say no to traffic vote no on Home Rule” does NOT mean the message lacks valid merit simply because this managing editor says so. Unless he can produce a crystal ball with a guaranteed prediction of Sedona’s future how can he possibly know what effect a NO vote on Home Rule will have on Sedona’s traffic? For example, if Home Rule is denied by voters it’s quite possible the advertising contract with our regional Chamber of Commerce will be terminated. Therefore, just how might that influence more potential day-trippers, already exceeding more than Sedona can accommodate? To read this absurd “editorial” (which is exactly what it is – one person’s opinion here) we would truly believe Sedona’s sky will soon be falling if sticky fingers are at least for the time being forced to refrain from raiding the company’s piggy bank. No valid backing for such absurdity, Folks! My own opinion is a No Vote on Home Rule will be well worth the opportunity to wait and see how many Chicken Littles will really see their doom and gloom of the falling sky become reality. If anything the RRN editorial confirms my decision since as in past elections similar tactics have been implemented as methods to expound on scare tactics based on nothing more than “Opinions” (as identified at the bottom of the page) of the RRN Publisher & Editorial Staff. Business as Usual? Is it time to call their bluff? NO ON HOME RULE! It seems the City & RRN have bigger fish to fry since Senator Burges has requested the State AG’s office to open an investigation about whether or not Sedona’s contract with the regional Chamber of Commerce is a violation of the “gift law” (among possibly other things). Well it’s about time. Maybe Karma will finally kick in and justice will be served. –	Quarterly financial report filed with the Arizona Secretary of State’s office shows that almost $30,000 has been raised since it was established in 2017. –	Quarterly financial report filed with the Arizona Secretary of State’s office shows that $11,000 was raised in the Second Quarter, 2018, all from Sedona hotels, businesses and restaurants. –	Has not filed a statement of organization (required by the State of Arizona). –	Has been running paid ads in the Red Rock News with financial no disclosure. Internal nit-picking and arguments within opposing entities will serve to maintain “Business As Usual.” Segner and the Chamber will win – they always do. Why? Because they stand united and avoid in-fighting which from opposition plays directly into their hands. Ha – Good Luck, Suckers! Sandy = third term victory. Home Rule Will Survive = thanks to all the knee-jerk reactors to scare tactics. Business as usual. Ya gotta luv it!! LMAO Sedona Losers – all those who actually thought you had a chance to change things in Sedona? Get a life someplace else. Just for starters SB 1487 complaint filed questionably by either Sen. Judy Burges and/or Rep. Bob Thorpe has been tossed out. Then the failed attempt by Arizona Liberty to get enough signatures for a ballot measure in November is pathetically short of qualified signatures for one reason or another. You people can’t win for losing. Can hardly wait for this primary election. Mayor Sandy will be reelected probably not in the primary since you dimwits wanting change threw in a third party. But Sand’s a shoe in for success in a November runoff. But rest assured Home Rule will sail through during the primary vote. Which means SEDONA CHAMBER OF COMMERCE/CITY OF SEDONA CONTRACT will remain sound and pat for probably FOREVER! Oh how sweet it is. Hey Segner is your Oak Creek Canyon Estate big enough to hold a memorial for all the losers after their pitiful defeat this election? Have heart give them something to look forward to besides Business As Usual in Sedona. HO HO HO says Santa and it ain’t even Christmas!!!!! It’s frightening to think you might be right @Hillarous but “it ain’t over ’til the fat lady sings.” And that’s the truth! Where there’s life there’s hope. C’mon residents of Sedona. Want change? Sick of the City/Chamber Sweetheart Deal? Then do NOT vote for incumbents and do NOT vote to approve Home Rule. You should received mailed ballots in a few days. Want change? Now is your chance. NO MORE BUSINESS AS USUAL!!! Take heed. Want change? Vote NO on HOME RULE. Vote NO to INCUMBENTS. Sedona voters should be asking 1) why the city has been investigated three times by the AG’s office for SB1487 violations? 2) why the city is being sued in Yavapai Superior County over its handling of the citizens’ initiative to put Permanent Base Adjustment on the November? and 3) why the Sandy for Mayor Campaign Committee has yet to file a Second Quarter, 2018 financial report although has been running paid campaign ads in the Red Rock News and is currently under investigation by the Secretary of State’s Office? Seems that the laws apply to everyone else. If these things bother use, vote OUT the incumbents and vote IN new leadership in city hall that will clean up the mess. Ethical behavior is important at levels of government. But you just don’t seem to understand @ARIZONA LIBERTY. That Chamber of Commerce and affinity group Lodging Council don’t play by rules, they appear to write them. They are above the law as in the case of Sandy Moriarty? For example no requests for proposals on destination marketing contract although they were supposed to have done so at the end of the first year of the contract (not enough time at the onset so they said). Then they go to council meetings and act cutesy when asked how many of the Chamber members are physically located outside City Limits and thus don’t collect city revenue. Too difficult is the response. OMG and this is what has been dictating to Sedona for how many years now? Definitely time for change. Sedona deserves better than this as do our neighbors to the south VOC and north Oak Creek Canyon. KTBO a new radio station in Sedona . . . = Kick The Bums Out. And “they” will continue on their merry way as long as a Slick Robin continues to cleverly outwit what appears to be blatant violations of State Codes? How about we ask why AZ Liberty twists facts and lies?. Why do people in AZ Liberty who don’t live in city limits so concerned about a Sedona City elections? Bunch of liars and fact twisters. AZ Liberty twists facts and lies. Please enlighten SedonaEye readers as what facts and lies. Allegations with no support. Typical nonsense. http://sedonacity.com/PAC.htm STEVE uses his BUSINESS to vote in City Elections. He is GETTING City Subsidies via the chamber for their private club. It’s always interesting there are never any specifics – just empty accusations. “Bunch of liars and fact twisters.” Whatever. And WHY? thinks that people who “don’t live in city limits” shouldn’t be “so concerned”? Sedona in Motion is openly talking about running an alternate route down Verde Valley School Road and right through an existing residential neighborhood. And you wonder why they are worried? Is it true the latest gimmick bylaws the rip off regional chamber of commerce is a campaign to smear SedonaEye and their contributors? As the story goes, the chamber of bad jokes has hired a topnotch ad promotional agency to promote guess what? The misnamed “Sedona” Chamber of Commerce. Because our city leaders never bother to monitor how the chamber spends the millions they receive under the terms of the Destination Marketing Contract, what does it matter if the latest promotion is for the “chamber” itself. The rumor is they’ve even hired some guy to post comments on SedonaEye spreading false information about how other areas spend millions on destination marketing. May be true however and if so they do it through legitimate Destination Marketing Organizations and not a two bit chiseling amateur outfit like this regional C of C.
And furthermore, to compare Sedona to places like Las Vegas and Scottsdale is absurd. Then there’s Park City, Utah. Fact is they give nothing to their Chamber of Commerce same as Flagstaff and Prescott. And in the case of Park City they promote their assets via the Utah State Bureau of Tourism. And the reason the population of Park City has flourished is because surrounding areas annexed into the incorporated Park City thus contributing to their tax base, unlike the “Greater Sedona Area” that relishes free publicity via a bogus Chamber of Commerce that promotes only their members, most not within City of Sedona. Then we have the busy chaps AZ Elections 18 PAC, Inc. (unaffiliated with Arizona Liberty) who didn’t think sending out just one expensive pro-Home Rule brochure was sufficient. Yesterday we received a duplicate although indicating it was some sort of “official” election information from maybe the county or state. 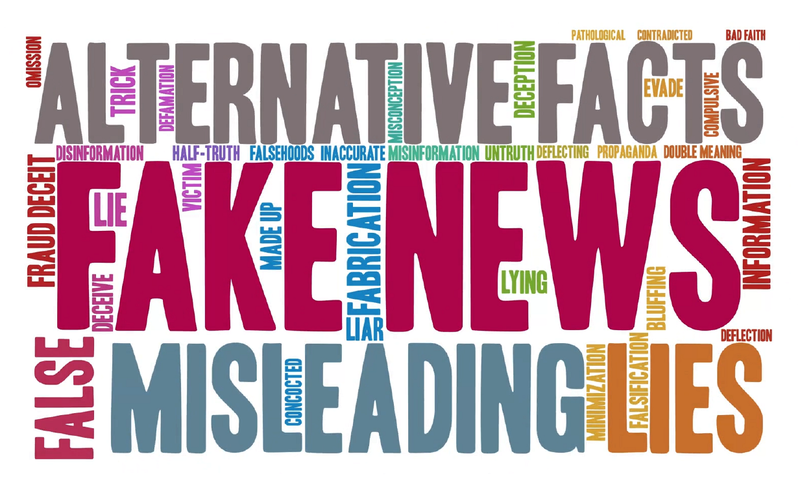 Same old crap – blah, blah, blah authored by some dame who just happens to be one of those performers at The Hub, also a former recipient of thousands of Sedona City tax dollars. Come on people – don’t be fooled by these con-artists. WISE UP. There’s still time to call their bluff and VOTE NO ON HOME RULE and bring in NEW FACES to the City Council. It’s way past time to put a lid on Business as Usual.